Realtor vs. real estate agent – what’s the difference? These sentences begin the preamble of the Code of Ethics and Standards of Practice of the National Association of Realtors. The National Association of Realtors, with its 1.2 million members, is composed of real estate licensees from 54 states and territorial associations. However, all real estate licensees are not necessarily members of the National Association of Realtors and subject to the Code of Ethics. This distinction should be very important to you, regardless of whether you’re considering buying or selling residential, land or commercial properties. The Code of Ethics is divided into three sections: Duties to Clients and Customers; Duties to the Public; and Duties to Realtors. There are 17 articles that support the three distinct groups. There also is strict guidance related to compensation received during and potentially outside of a real estate transaction. As one can imagine, these areas have potential for misunderstanding and therefore are addressed in detail. The constant evolution of social media has presented many challenges in recent years to this section as new advertising venues seem to be created weekly. To put it simply, if you don’t have something nice to say, then it’s best to say nothing at all. From this most basic principal, it continues with clear direction on how Realtors treat their fellow Realtors and the clients of those Realtors. If you’re considering a real estate transaction, you can now see why it’s important to work with a Realtor member of this National Association verses a person who simply holds a real estate license and is not subject this Code of Ethics. 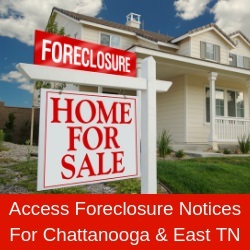 If you’ve read through this brief summary and feel you’ve experienced a breach in this code, then contact us at Greater Chattanooga Association of Realtors office for details on how to file a complaint. GCAR services Hamilton and Sequatchie counties in southeast Tennessee and Catoosa, Dade and Walker counties in northwest Georgia. Go to www.GCAR.net for more information. The Greater Chattanooga Association of Realtors is “The Voice of Real Estate in Greater Chattanooga.” The association is a regional organization with more than 1,800 members and is one of more than 1,400 local boards and associations of Realtors nationwide that comprise the National Association of Realtors.